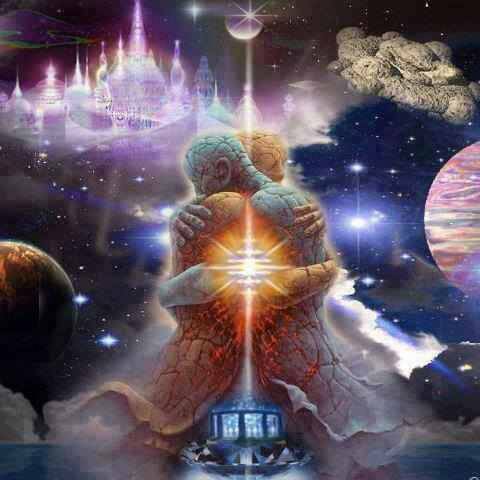 You are at:Home»Consciousness»Reunion of the Twin Flames: The Fairy Tale is Real! I grew up believing myths and fairy tales about a destined meeting of the princess and her prince charming. I was always a courageous, freedom loving spirit, who was happy on her own. Already at age of 6, I was exploring streets of Mink (Soviet Union) and at age 10 running through wild terrains of Israel. As a teenager, I spent hours watching and rewatching romantic movies like “Dirty Dancing” and “Pretty Woman,” the iconic movies of our time that brought this concept of love in the modern life. The deeper longing and search for the one was always there. I have been chasing “love” by falling in love with men in which I saw some of those aspects of ‘my prince’. Sometimes these chases would bring me across the world, but I wasn’t ready to give up. His archetype had to look a certain way: tall, dark hair, and of course look handsome. He had to be courageous, have a big heart, and want to do only goodness in the world. There are many other qualities that I imagined for ‘my prince’, but one had to be always there: he had to capture my heart by his uniqueness. I didn’t want a prince that would come to rescue me, but one that would be my mirror, a warrior who has a mastery potential to be powerful and create ultimate tale of ecstasy and joy to change this world to be a better place. 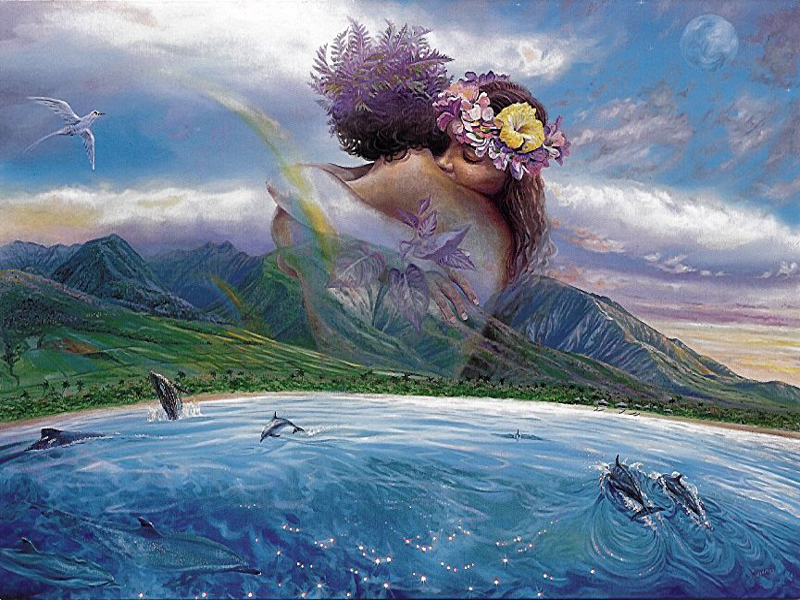 What I didn’t know is that I was on a quest to find my twin flame, the ultimate reunion of souls represented by the energies of divine feminine and divine masculine principles, Alpha and Omega, Yin and Yang, opposite poles of the one reality. At the initial descent into third dimensional reality these two aspects of the one were divided and the twin flames were created. One the Alpha flame the other the Omega flame. The twin flames chose to incarnate together to achieve higher purpose. They usually lead separate lives, but always knowing there is that other half that needs to be met. The reunion of the flames most of the time truly happens when they both actualize, as their purpose is to raise consciousness of humanity. We live in the world of dichotomy. There is darkness, when there is absence of light. There is fear, when there is absence of love. This human experience can be full of suffering and pain. We ourselves are the ones who are playing out the stories that we create like actors in our own theater production. We often get distracted by the outside world and our ego, which put limitations on any vision. However, the fairy tale we know is truer than the illusions we have created. About a year ago, I have courageously decided to step out of my own story. I had let go of the father of my child after years of suffering. I broke a karmic pattern with someone who I played this story out with through many lifetimes. In doing that, I have created space to step into my own power and actualize. I didn’t need pity from anyone that I became a single mother. Instead, I embraced the opportunity to develop a better version of myself. In shamanic terms, I found and climbed back on my mountain and I promised myself there will be nothing that will ever take me off my place. As I embraced my center and power, the dark clouds evaporated. The light started radiating from inside out and I was getting ready to meet my “prince.” With few additional tests, I realized that I need help. I found a psychic who I trust, and with her help I cut energetic cords with those that didn’t serve me and made a call for the one. I started to walk away from men who provided comfort but didn’t feel right. I created space in my life to manifest what I so desired and felt I deserve. open heart. I wasn’t attached to any outcomes. I was riding solo in my own quest of magic. 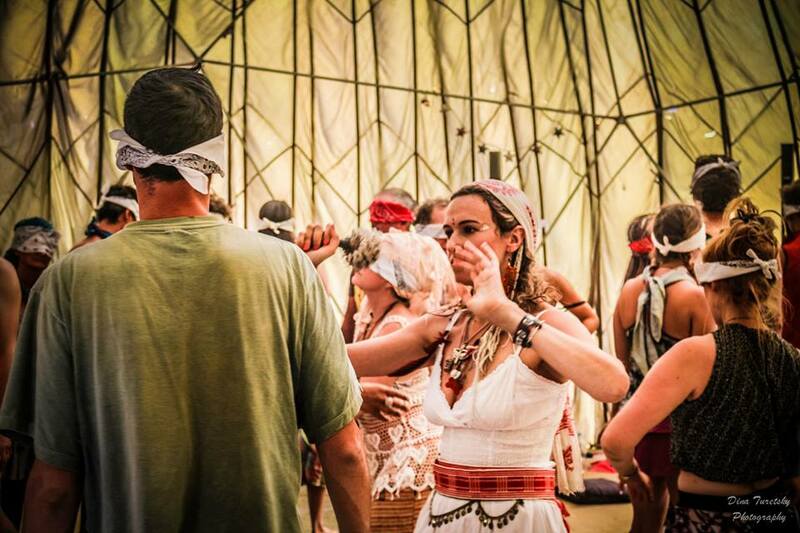 I held space for others to connect to their hearts by teaching a Dance of Liberation class at Shamandome camp and through other various random connections. By the time I was leaving the desert, I had a big smile on my face as I was feeling wholeness within me. I had a day break in Reno before flying back to JFK. There was a pool party by the hotel that day. All of a sudden in a middle of a conversation with a girl I just got introduced to, I got hit by this unexpected energy coming my way. I didn’t even fully see him, but felt this intense energy that was so familiar. I was drawn to it like a magnet, as the polarity was so strong. It didn’t take even a minute to recognize him. The knowing was there, although I couldn’t quite process it all at once. My soul got so excited when within 5 minutes of the conversation, we figured that we are on the same flight together to New York. If I had any doubt about fate, at that moment, I knew there was more to this than I could possibly understand. After all these years, I met my twin flame. As all articles on twin flames indicate, there are various signs of this reunion, but most importantly are the intense energies that only the couple can feel and understand whether in proximity of each other or even in the distance. The beginning is a bit rough, because the twins don’t fully know how to deal with these energies. Serving as a mirror to each other, twin flames bring out all the unresolved karmic issues that might need to be cleansed. However, the connection between the twin flames is so deep that they quickly learn how to resolve the karmic issues and transmute, thus allowing the higher energy levels to come through. This connection allows them to tap into the unconditional love..the highest frequency of this existence. 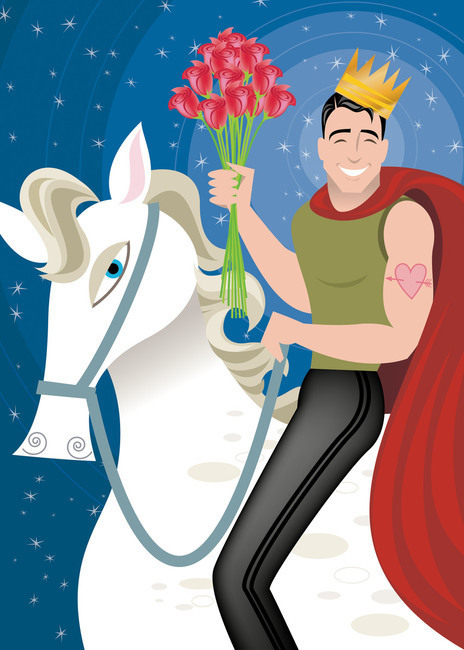 I am writing this article to let you believe in the fairy tale story. It is very real. It only happens when you are ready to believe and step into your authentic self. 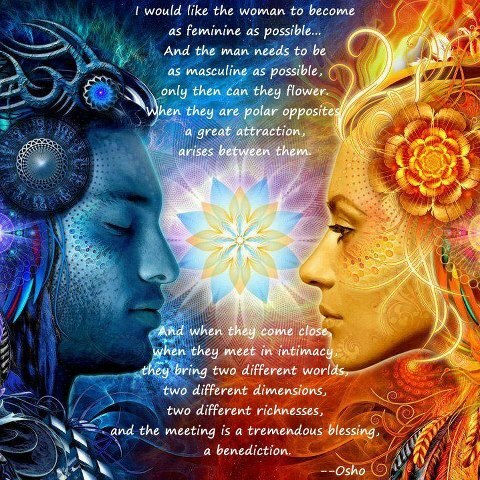 It is when you “marry” your inner divine masculine and divine feminine first within yourself. It is when you are ready to rise in love by releasing what doesn’t serve you and find peace. Then when you get to that place of unity within and have faith to manifest what your true longing, magic happens…Then you can “marry” your polar energetic and soul opposite. I don’t feel special for meeting my twin flame. In the course of last month and a half, many other goddesses that I know have met theirs too as they too have done their homework. This is a clear indicator that we are reaching very important time in history of the earth. The portals are getting open and new energies of ascension are coming through to upgrade us, as we are shifting from 3D to 5D reality. When I am with my twin flame, our energies are amplified, a union of two flames becoming one. We are in service here, in this lifetime, to assist the collective journey HOME. If you have met your twin flame and resonating with this article, I invite you to comment here. 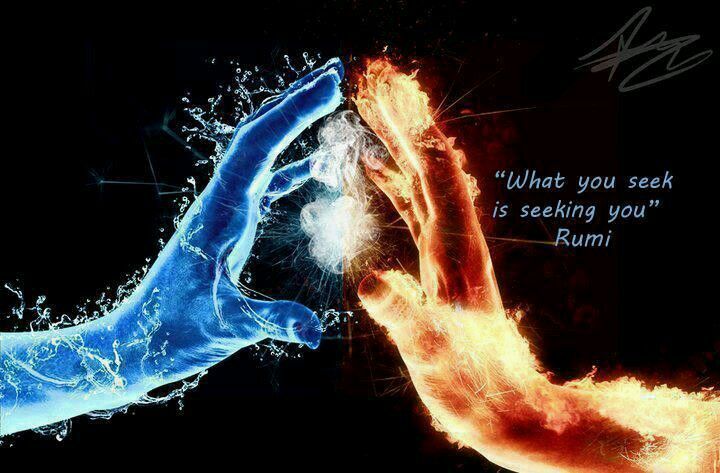 I am interested to hear of other twin flames and the magic they are creating. I HAVE met my Twin… He was the one who asked “Are you my Twin Soul?” I didn’t think it was him tho we had the most amazing energetic connection. We had done the dance for MANY years, always pulling apart only to be reunited. We finally came together & agreed who we were to each other. THAT began the final runners stage for him…Its been a year since we have spoken this time. It will be 17 years THIS Halloween since we first connected. Our vibration is strong & steady these past 2 mos… Soon I feel a reconnection will happen. I am shown it will….Holding space while continuing on with my own work. Its aROUGH road this one we’ve chosen/ A LOT of past karma needed to be released. Along with a Karmic relationship I have had for several lifetimes… FINALLY cut that one free & re wrote my own soul contract. 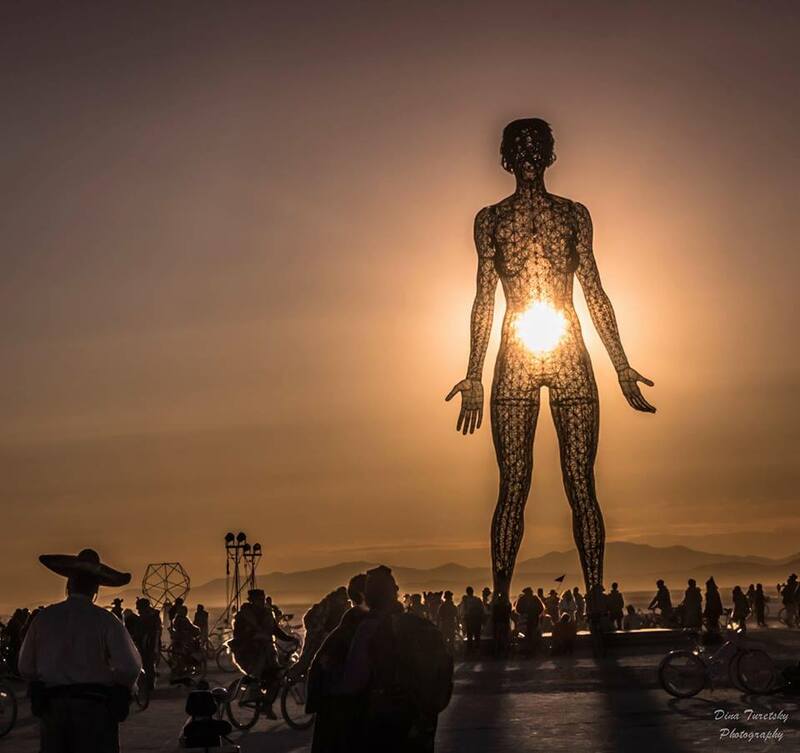 Now there is NO barrier, no other energy in Jakes way….I am naked & my heart open…. Also, I wanted to add that usually the masculine is the one that recognizes the twin connection. In my situation, I knew this is something very special but he also was the one who asked the same exact question. I said, “don’t try to define it”..But then later over the course of weeks when we hit some issues, it came up again. This time I had more clear knowing based on the intense energies and all the obvious signs. Dina! What a heartwarming article! Thank you so much for sharing… and I’m overjoyed for you! And the video on YouTube by Cr. Cha~Zay is great too! I intuitively always knew that a man is the one who knows first… It’s lovely to receive yet another confirmation.